Pregnancy can be an exciting time. When you finally see two lines on your urine pregnancy test kit , and your beta HCG blood test comes back as positive, you’re on top of the world that all your efforts and hard work have paid off , and you can now sit back and finally look forward to having a baby. However not all pregnancies are uneventful and it’s quite common to have spotting or bleeding during a pregnancy . When this happens , you tend to panic. Oh my God , is everything all right ? Am I going to miscarry ? Is the baby going to be defective because of the bleeding ? Am I going to lose the baby ? Will the bleeding harm my baby ? Your mind starts imagining the worst, and the problem is that there’s very little which you can do about it. The bleeding is completely out of your hand, and you are helpless. The first thing you do is call up your doctor , who usually tells you to rest and relax. But it’s very hard to relax, because you automatically start assuming the worst. Is all your hard work going to go down the drain ? Are you going to lose this pregnancy ? Is everything going to come to naught ? Are you going to prove to be a failure again ? Does this mean that not only can you not get pregnant , but that even after getting pregnant you couldn’t even hold on to your baby ? When a pregnant woman starts bleeding, it’s important that the pregnancy be monitored very carefully to make sure that everything is fine. The good news is that most of the time everything will be fine . 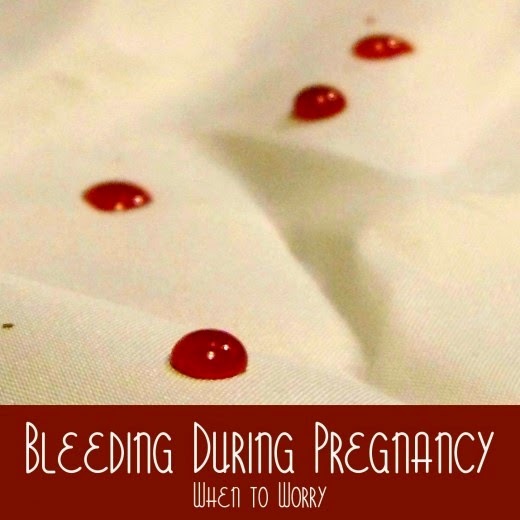 Spotting and bleeding during pregnancy is quite common. It often comes from the uterus or the cervix , and we often cannot even identify its source. It doesn’t harm the baby . However, when you’re bleeding , it can be extremely scary. This is why your doctor will order both a beta HCG blood test as well as an ultrasound scan to reassure you that all it well. Both of these provide complementary information , and the doctor needs to use both these pieces of information to determine all is well. It’s important to learn to be able to interpret these results. It’s not that you want to become a doctor, but if you understand what’s happening , and why the doctor is ordering the test, you’ll be much more at peace with yourself. Usually a single test result doesn’t tell us what we need to know , and we need to repeat these tests over a period of time to document that everything is well. A well informed patient who understands what the test results mean , and why they are being repeated will be able to understand what the doctor’s plan of action is , and will be much more comfortable . www.hcgexpert.in . All you need to do is enter your HCG blood test results and your scan results , and we’ll be able to interpret for you whether your pregnancy is progressing normally or not. 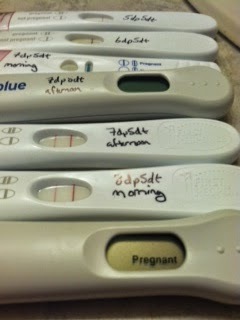 Sadly, the truth is that not all pregnancies have a happy ending. Some may miscarry, while others may be an ectopic ( tubal pregnancy) . A failing pregnancy can be an emotional disaster, while an ectopic can be life-threatening. The sooner the diagnosis is made, the better for both you and your doctor. HCG Expert can help you to become a well-informed patient, and reduce the risk of an ectopic rupturing. MasterCard recently held a Symposium on Clients at the Center and The Client Journey. Their focus was on reaching out to the millions who still do not have easy access to financial services. It's a very well produced symposium - and a lot of the lessons could be directly applied to providing healthcare for the poor as well ! For example, watch the video debate on - The future of financial services for the poor will rest primarily in highly automated, low-touch models for reaching clients. This could easily be reframed as - The future of health services for the poor will rest primarily in highly automated, low-touch models for reaching patients ! I recently did a consultation with a 42 year old infertile woman. She knew she needed to do IVF, and was mature enough to understand that her chances of success were low because of her advanced age. However, her bigger concern was - Am I too old to be a good mom ? Would I be able to do a good job with bringing up a baby ? Am I being fair on my child by wanting to have a baby so late in life ? Will I be able to provide her with the love and attention which she deserves ? She was a very sophisticated, thoughtful mature professional. She was thinking through her decision of having a baby very carefully. This wasn’t just a selfish desire she wanted to fulfill, no matter what the long term consequences. There were issues with her husband as well. For all these years , her husband wasn’t too bothered about having a kid. But now that he was 45 , his midlife crisis seemed to have kicked in, and seeing all his friends playing with their kids , he decided one fine day that he wanted to have a kid too ! While his sperm count was fine , and would remain fine no matter how old he became , she was now too old to be able to have a baby in her bedroom. 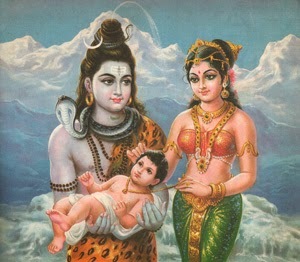 This caused her a lot of resentment, that he hadn’t cooperated with her when she was younger and had wanted a kid , and that now when she had biological difficulties , he was asking her to get pregnant which was not something she could do any more with ease. This also caused her regret that she hadn’t been more assertive and vocal when she was younger about asking for her husband’s cooperation in order to get pregnant. I had to sit down and explain to her that she shouldn’t be thinking of herself as a second class mom just because she was older. In fact I personally believe that older mothers are usually better mothers. They are lot more mature, more patient, and more thoughtful they have a lot more to teach their children because they’ve seen a lot more of life. They aren’t as pushy and aggressive as younger mothers, and don’t burden their children with their personal unfulfilled dreams and ambitions. This is often why their kids are much happier , because they them allow to grow up and become whatever they want to become. They allow their children to follow their personal desires and passions , rather than be burdened by what their parents want them to do. One of the concerns many older mothers have is that they may not have enough physical energy to keep up with the demands of a toddler. Yes, it’s true that they may have less energy, but on the other hand they do have other assets which younger mothers don't . They have many more financial assets; a larger house; can afford to hire assistants to help them to bring up their child; and will be able to provide a much better education than most younger mothers can, because they are much better off. It’s true that their parenting style will be different as compared to a younger woman, but in some senses it can actually be better. She was very worried that when my child starts going to school, will he be embarrassed about the fact that I will be as old as the grandmothers of his classmates ? Won’t I be completely out of place ? I reminded her that children love their mothers unconditionally, no matter what their mom looks like, or what their age is. This is why it’s not something she should worry about . Also, you should not worry about what other people will think and say. You need to follow your heart . The key ingredient in parenting is love, and as long as you can offer this in abundance to your child, both you and your child will be fine. In fact, having a child will make you much younger far quicker and much more efficiently than anything else you can do , whether it’s Botox or plastic surgery . Your baby will help you rediscover the young child within you. It’s important that you should have no regrets when you are 50 . At the age of 42, you are already regretting the fact that you didn’t have a baby 10 years ago , and I don’t want you to end up repeating the same mistake again. Make a decision which will give you peace of mind that you did your best. If you follow your gut, you will be happy – and happy moms make for happy babies ! Need help in getting pregnant ? Please send me your medical details by filling in the form at www.drmalpani.com/malpaniform.htm so that I can guide you better ! Pregnancy is an exciting time for most women . This is especially true for infertile women who have worked hard in order to have a baby . When they finally get pregnant , they are on top of the world and start dreaming about when they will be able to hold their deeply longed-for baby in their arms. However, women need to be realistic and understand that not all pregnancies have good outcomes . About 10% of all pregnancies ( whether these are IVF pregnancies or made in the bedroom ) will fail. They may result in a miscarriage or as an ectopic. This risk is highest during the first 4 weeks, which is why patients are often on tenterhooks until they see their baby's beating heart on the ultrasound scan when they are 8 weeks pregnant. The risk of the pregnancy failing is higher in IVF patients. This is because they are older ( and older eggs give rise to embryos with a higher risk of miscarrying because of genetic defects); and because they may have pre-existing medical diseases , such as damaged fallopian tubes, which will increase their risk of having an ectopic pregnancy. This is why IVF pregnancies are monitored so carefully , to make sure that they're progressing well. The problem is that sometimes this monitoring is not done properly , as a result of which patients sometimes fall in between the cracks. This is especially true for medical tourists, who travel to another city for their IVF treatment). 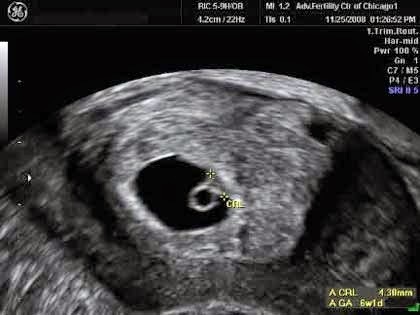 Sometimes these patients may have an ectopic pregnancy , but this is not diagnosed in a timely fashion because the doctor doesn't think of this possibility . The patients may then end up losing a lot of blood if the tubal pregnancy ruptures. Also, in case the pregnancy is not viable , it's important to make the diagnosis of a failing pregnancy as early as possible , so that it can be managed appropriately , and the patient can be counseled and given enough emotional support during this stressful time. The good news is that most IVF pregnancies are healthy , and the monitoring allows us to reassure the patient that all is well. However, the mind plays lots of games during this waiting period, and IVF patients can become very anxious until they hear that all is well from their doctor. A combination of both hCG levels and ultrasound scans is needed in order to make the right diagnosis, , and often the sonographer doing the scan may not know how to make sense of HCG levels. This can cause a lot of false alarms needlessly. This is why we created the website , www.hcgexpert.in. This free website which uses intelligent algorithms in order to help patients make sense of that their hCG levels, in conjunctions with their ultrasound scan results. 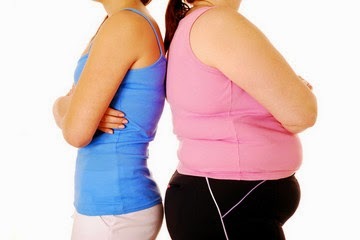 The good thing about hCG expert is that patients can use this tool for themselves . Not only is it free , it also allows us to collate data from lots of patients , so that we can help patients to make a diagnosis of an abnormal pregnancy as quickly as possible . Doctors can actually refer patients to the website , so that they can figure out this information for themselves . Not only does this empower patients, it also saves the doctor a lot of time , as it’s much easier to counsel actively engaged patients . HCG expert will allow you to monitor and track your early pregnancy, so you can reassure yourself that all is well, and this will allow you to enjoy your pregnancy ! This is an email a patient sent recently , when her first IVF cycle had failed. I was pleasantly surprised to know that you can see your embryos and even take pictures. That very act creates a connection right before the embryo transfer process itself. 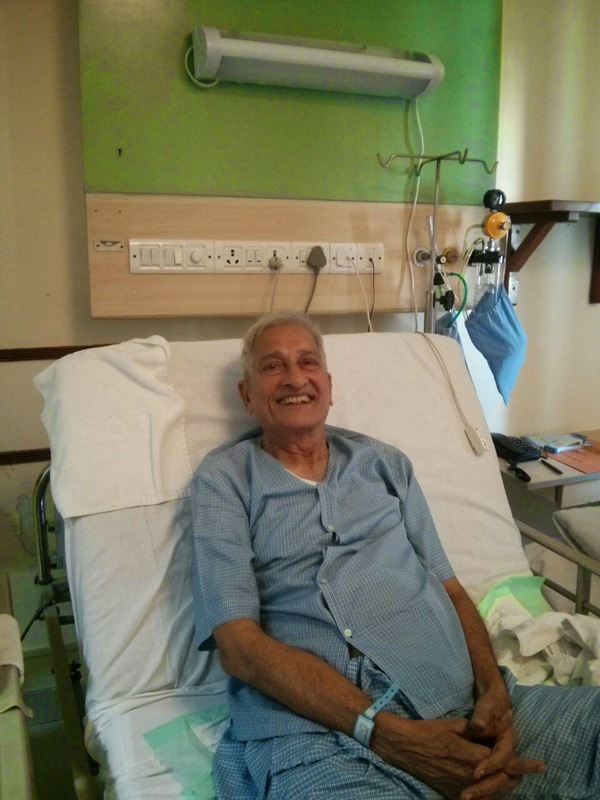 I had my 2nd IVF back in Chennai, Dr. S, and things were out of whack. I had no clue if the embryos were formed, how many were transferred, worst part if the right ones were transferred as the embryo transfer was done for 2 patients in the same room at the same time by her. This is the most horrific experience that I had. And when I asked the embryologist about the environment in which the embryos are formed and how they made sure right ones were transferred, he maintained silence and gave a grim face, which really was very freaky. Later in the cycle I developed UTI with 104F and my cycle failed. I am pretty sure due to unhygienic usage of instruments. In a way I am glad my cycle failed at that time as I was unsure what was exactly happening, and whether the right embryos had been transferred into me. The whole experience was very unprofessional and scary and has put me off IVF completely. 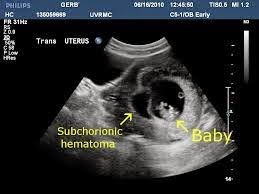 That was one of the reasons, this time I wanted to do my own thorough research, especially since I am considering donor egg option,I wanted to be doubly sure of my decision. That's when I started doing research on IVF doctors ." This patient has learned the hard way that it's crucially important to do high quality research before choosing a doctor. 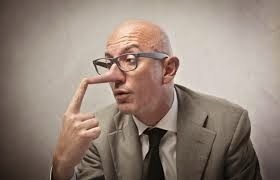 It's true that every patient does their "due diligence" before selecting a doctor, but often this is done quite shoddily. The key to choosing the right doctor, is making sure you are well-informed about the IVF process; and then " interviewing " doctors ( something which you can do easily by email as well these days), so you can select the one who is right for you. Asking good quality questions, and judging the response to them is a far more intelligent way of finding the best doctor, rather than relying on "reputation" or "word of mouth referral". 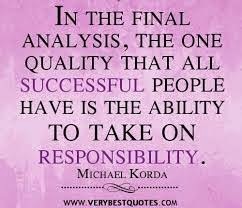 Want to make sure you are on the right track ? Please send me your medical details by filling in the form at www.drmalpani.com/malpaniform.htm so that I can guide you better ! I often see patients who have PCOD who have not been diagnosed properly. Typically, the textbook describes PCOD patients as being obese; hirsute; and having irregular cycles. However, not every patient with PCOD has all these classical symptoms. Many patients with PCOD are lean; and have regular cycles, which means many gynecologists and GPs don’t even think of the diagnosis when they see them. We all know that the eye only sees what the mind knows. These patients then end up getting poor medical care, as a result of which their chances of getting pregnant go down considerably . 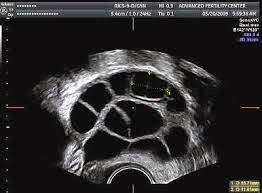 Thus, these patients are often mis-labelled as having unexplained infertility, which is a convenient waste paper basket diagnosis to lump all patients who don’t fit any other convenient diagnostic bucket. These patients are then often advised to do IVF. However, when the doctor starts the superovulation with the standard dose of FSH injections , the patient grows too many follicles. The doctor then gets flustered, because this is not something which he anticipated ; and because doctors are so scared of the complication of ovarian hyperstimulation , they cut down the dose of HMG. They end up “coasting” these patients, and the trouble with this is that these patients end up getting poor quality eggs because of the lack of appropriate FSH stimulation. Because the eggs are of poor quality, the number and quality of embryos also drops considerably. Even though these patients grow lots of follicles , and the doctor is able to collect lots of eggs , the doctor then blames “poor egg quality” as the reason for the unexplained infertility, and advises the patient she needs to do donor egg IVF ! Remember that patients with poor ovarian reserve who have poor quality eggs will usually grow only a few follicles – quantity and quality usually go hand in hand. This is why it’s so important for patients to become well-informed, so that they can discuss the possibility of their having occult PCOD with the doctor when they find they are growing lots of follicles during superovulation. It’s easy to confirm the right diagnosis once the doctor thinks of the possibility. The tests requires are quite simple – an AMH blood test ( the AMH level is elevated in these women); and an increased antral follicle count. Once the right diagnosis has been made , the chances of getting pregnant are very high, because these patients have high ovarian reserve, and can grow lots of good-quality eggs and make high quality embryos when they are superovulated properly. Why are so many IVF patients are unhappy with their IVF clinic ? I just received this email from a patients. we would like to know if you can help." It breaks my heart when I receive emails like this. While it's true that IVF doesn't have a 100% success rate, IVF patients should have a good experience during their cycle, so they have peace of mind they received the best medical care. Treatment is expensive , and patients deserve hands-on personalised care. Sadly, the experience this patient described is remarkably common , and seems to be par for the course. Patients put up with this poor quality care because they don't know they should expect better. They meekly accept whatever the clinic staff tells them , and are very reluctant to ask questions. They are scared that if they rock the boat, the medical staff will punish them by ignoring them or providing even worse care. After all, patients are very vulnerable and don't want to be seen as being troublemakers. However, when patients put up with this sub-standard care, everyone suffers. Patients lose confidence in the medical system, and are not willing to trust any IVF clinic whatsoever. Because of their bad experience, they conclude that IVF treatment is a waste of time and money, and resign themselves to their fate. The good news is that not all clinics are the same ! If you aren't happy with the quality of care you are getting at present, and feel that your doctor is not giving you enough personalised attention , please don't get disheartened or give up. We don't employ any assistants in our clinic, which means we take care of all our patients ourselves. Our care is very "hands-on" and thanks to our many years of experience, we can individualise your treatent plan to maximise your chances of success. 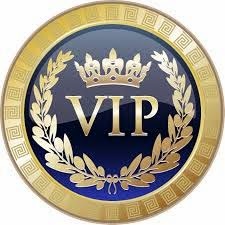 We take pride in treating our patients as VIPs ! We provide comprehensive services under one roof, including PGD and TESE. We don't do any unnecessary testing; and do not waste your time and money. Want to find out more ? Please send me your medical details by filling in the form at http://www.drmalpani.com/second-opinion so that I can guide you better ! This is talk I gave to gynecologists at a Conference on IVF organised by Shivani Scientific recently in Mumbai. IVF failure can be heart-breaking - both for patients and doctor ! Need help in recovering after a failed IVF cycle ? Please send me your medical details by filling in the form at www.drmalpani.com/malpaniform.htm so that I can guide you better ! 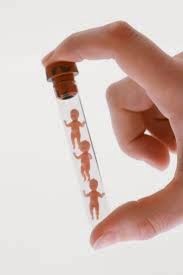 PGD stands for preimplantation genetic diagnosis, and is an advanced technique which allows us to prevent genetic diseases such as thalassemia, sickle cell anemia, hemophilia and Duchenne muscular dystrophy. PGS ( preimplantation genetic screening) and uses CCS ( comprehensive chromosomal screening) for aneuploidy screening. 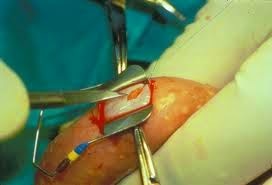 However, embryo biopsy is a complex technique which requires a lot of skill , and can be challenging to master. This video shows Dr Sai, Chief Embryologist at Malpani Infertility Clinic, doing a trophectoderm biopsy for four Day 5 embryos ( blastocysts) . You can see that it's a very delicate procedure, and it's very easy for an unskilled embryologist to kill an embryo while doing PGD ! This is why you need to find an experienced and skilled IVF lab if you need PGD. The biopsied cells are sent for genetic testing; and the normal embryos are transferred into the uterus, thus ensuring that they are disease-free. Patients are often not sure what kind of IVF clinic to choose . They want a clinic which has a high success rate ; which is fully equipped with the latest technology; and where the doctor treats them with compassion and empathy . They are looking for a combination of high technology and high touch – and preferably at an affordable price ! Today, patients often end up choosing between large assembly line brand name IVF clinics. They have lots of patients and long waiting times; and in order to handle these patients , they employ lots of doctors and lots of nurses . There is little personalization, and the patient is often forced to wait for hours on end if they want to see the brand name senior doctor. This means the patient rarely gets to see the same doctor twice – they usually end up having to deal with whosoever the doctor on duty happens to be on that day. They are not able to establish a personal one-on-one relationship with the doctors, and usually end up feeling that they are being treated as a number. These clinics are forced to follow very rigid protocols, and they are not able to personalize the treatment they provide. These clinics have the advantage of being very busy, and because they have large volumes of patients, they are usually well-equipped , and are able to provide a full range of services . It can be hard for the patient to evaluate the technical quality of services the clinic provides. This is why it's important that you do your homework , so you find the clinic which is right for you. If you are the kind of patient who is impressed by super-busy doctors who handle lots of patients, because you believe that the popularity of the doctor is an index of their competence, then you should select a busy clinic where lots of activity . After all, any clinic which attracts so many patients, must be good, right ? Hundreds of patients can’t be wrong, can they ? On the other hand, if you want a clinic where you are treated as a special human being, and you want personalized attention, then you should search for a boutique clinic. Your best option is to find a “focused factory” which marries the best of both worlds, because they are fully-equipped, and have all the expertise needed under one roof. They have high success rates, and can provide personalized care as well. Need help in finding the best IVF clinic ? Please send me your medical details by filling in the form at http://www.drmalpani.com/second-opinion so that I can guide you better ! 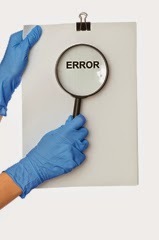 When we talk about medical errors, we usually focus on mistakes made by doctors or the medical staff. However, the truth is that patients often make mistakes as well. There are many reasons for these mistakes. Sometimes, patients are confused , because the doctor did not explain things properly . They don’t understand the doctor’s medical jargon, and are scared to cross question the doctor or are reluctant to display their ignorance. They therefore continue to dumbly nod their head, and the doctor is misled into thinking that the patient has understood. For example, a patient was supposed to take 0.2 ml sc of Lupride, and she ended up taking 2 ml by mistake, because she did not understand what the decimal point meant. Mistakes like this are upsetting and irritating for both patient and doctor. The patient is scared that by taking too much medicine, she may end up causing harm to herself by the overdose; or that she may have to cancel the cycle because she has messed up her medications. 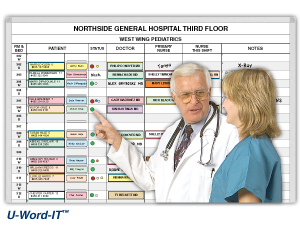 The doctor is irritated, because he feels that he did an excellent job explaining to the patient exactly what to do, and that if she didn’t understand, why didn’t she just ask him for clarification and cross check with him , rather than pretending to understand. Doctors sometimes forget that patients can be quite intimidated by them ! We need to understand that all of us make mistakes , and it’s best to be charitable and understanding – after all, no one goofs up deliberately ! Rather than start assuming that all patients are idiots, these mistakes can actually be great learning opportunities. The fact is that patients make mistakes much oftener than we realise, and they often cover these up because they are scared that their doctor will get angry and upset , and will shout at them. If you are a good doctor, and the patient has enough confidence in you , she will let you know when she made a mistake , and then it's up to you to resolve it. Sometimes these are minor issues, which can be safely ignored. However, sometimes these mistakes can create major problems, but these can be tackled only if the patient is willing to confide in her doctor. Interestingly, sometimes these mistakes can be serendipitous events, which can actually help to advance medical science ! Thus, if the patient takes a lower dose than the one prescribed, and still has a good therapeutic response, the doctor may start prescribing the lower dose to all his patients, because it may be as affective as the standard recommended dose. This is especially true when patients are taking alternative medicines. They will often hide this information from their doctor, because they are scared he may get upset with them for doing non-standard treatment. However, if they get better and share this information , the doctor can learn from their experience, if he is willing to keep an open mind. Maybe he can even start advising other patients to try out alternative medicines ! 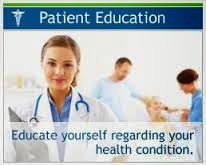 Patient education can play a very important role in reducing the errors which patients make inadvertently, and it's important that doctors and hospitals invest in tools and techniques which help patients to become better informed. Endometriosis is a distressing disease , and difficult to treat . Even though it’s so common, we still don't know what causes it , and most medications just provide temporary suppression . We can’t cure it, which is why doctors are looking for new ways of tackling this disease . 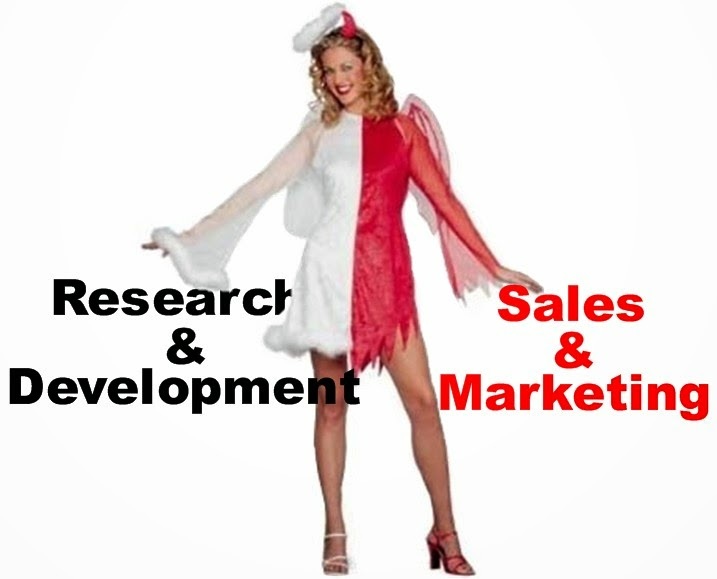 Pharmaceutical companies spend a lot of money in doing research in order to find new treatments, and everyone would be very happy when we can find something which works . However, developing a new drug is very expensive, and takes a lot of time and money. Doctors are also happy to try new approaches, and a medical journal paper described a new way of treating endometriosis , using an old drug called cabergoline. The hypothesis was that some patients with endometriosis have high prolactin levels , and since cabergoline reduces high prolactin levels , it may help in treating endometriosis . Also, in vitro studies have shown that cabergoline reduces angiogenesis ( new blood vessel formation) by reducing levels of VEGF ( vascular endothelial growth factor). The study was a small one, and showed that cabergoline was slightly more effective in reducing the size of a chocolate cyst ( endometrioma) as compared to the standard treatment which uses GnRH agonist injections. While it’s promising that doctors are trying out new approaches to treating endometriosis, the problem is that this is only a small single study , which measures only a reduction in the size of endometriomas, which is quite a pointless result from the patient’s perspective. These studies need to be repeated by other doctors, to see if the drug helps in relieving the pelvic pain of endometriosis; or in improving their fertility before we can start recommending it in clinical practise. This can take time, and needs patience. However, the tragedy is that when pharmaceutical companies come across a drug which is already being used for treating other diseases , and they find a paper which shows that it can also be used for treating endometriosis , they are very happy to promote this drug for that disease. This called an off-label use of the medicine, and while it’s quite ethical for doctors to prescribe this for their patients, it’s not ethical ( or legal) for companies to do so. The problem is that when this drug is being actively promoted by MRs, gynecologists often don’t bother to read the fine print, or take the trouble to understand the limitations of the research. They fail to factor in the fact that a 25% reduction in the size of an endometrioma is of very limited clinical importance – and that GnRH agonists have been shown to be quite ineffective in “treating” chocolate cysts, so there’s little point in comparing cabergoline with the GnRH agonists for this indication ! However, they are quite happy to do whatever the MR suggests. Doctors are always happy to prescribe medicines, because it gives them ( and their patients) the satisfaction that they are doing something ( even if it maybe ineffective). They get carried away by the “research” published in a foreign medical journal”, and are very pleased that they are doing something “new and different” for their patients. Because the drug can be taken orally, doctors will tend to overprescribe it, because of the active promotional campaign being carried out by the pharma company. While this is good for the company ( because it’s an expensive drug), it’s very unlikely that the poor endometriosis patient will benefit. I'm not saying that cabergoline may not help patients with endometriosis. My point is that it has not been adequately documented to be proven to be an effective treatment for endometriosis , and until this is done, it should not be promoted to unsuspecting doctors and hoisted on clueless patients. One would assume that doctors would get the best possible medical care . After all, being insiders, they understand the medical system ,and are likely to get VIP care from other doctors, who are their professional colleagues. They understand a lot about medicine, and will know exactly what the best medical treatment is; and who the best specialists are for their illness. Doctors will leverage this “inside” knowledge to get the best treatment when they fall ill. However, this is not true , and surprisingly doctors often get poor care. One of the reasons for this is the VIP syndrome . Because the doctor is a professional peer, he is likely to be overtested because the tests are often done free for doctors. Sadly, this then leads to overtreatment, because the treating doctor goes out of his way to do his best for his colleague. Ironically, this also sometimes leads to shortcuts being taken, because the doctor is given preferential treatment, and allowed to “jump the queue” , rather than being forced to follow the standard protocol. Also, because it is assumed that a doctor knows what’s happening, the treating doctor may often not provide an explanation for what he is doing, and why he is choosing a particular course of action. Sometimes doctors suffer from “medical student syndrome” and when a doctor falls ill, he starts thinking he has the most esoteric illness in the world. Sometimes the pendulum swings to the other side, and because the doctor-patient does not want to rock the boat, or be a “ bad patient” ( because so many doctors have the reputation of being difficult patients) , he does his best to be compliant and passively follows whatever advise the doctor-doctor gives him. This is why the doctor-patient is hesitant to speak up because he doesn’t want it to appear that he is challenging the authority of the doctor-doctor. He doesn't ask too many questions, and may not express his personal preferences, and he is worried that this can damage the chemistry between the two of them. The treating doctor may also wrongly assume that because his patient is a doctor, he knows and understands everything which is being done, so he may not take the time to provide a complete explanation. The other problem is that the treating doctor goes out of his way to make sure everything goes like clockwork. Because it’s an honour to treat a colleague, he needs to make sure there is no mishap or oversight. This means that he often adds a lot of unnecessary bells and whistles to his treatment, to make sure that everything possible which can be done is done, and the patient is getting “state of the art” cutting edge treatment. Thus, doctors will recollect their uncommon complications, and then go out of their way to make sure the same fate doesn’t befall the doctor sitting in front of them. This can actually make things worse , because more is not always better ! Why doesn't the UK medical system trust patients with their own medical records ? I have a patient who lives in the UK who needs to have an HSG done , because she needs a ZIFT treatment at our clinic. She has found a X-ray clinic who is happy to do the HSG for her, but they are refusing to give her the X-ray or the report. They insist that they will FAX the report only to the referring doctor – me . The problem is that we stopped using FAX over 10 years ago , and I can't believe that doctors continue to use such outdated technology – after all, email is far more efficient, and can be just as secure as a FAX ! However , what I find even more perplexing is the fact that the UK medical system is not willing to trust patients with their own medical records ! This is something which makes no sense to me . She’s paying for the test – and it’s her body, which means her medical records are her property. Why can’t they just give her the HSG and report, so she can do with it as she sees fit ? She can email them to me – or get a second opinion from another doctor ; or share them with her sister-in-law , who happens to be a doctor in the US . I can't understand this old-fashioned paternalistic attitude, where testing centers and diagnostic clinics insist that reports will only be shared with the referring doctor. I think this is unacceptable in today's day and age , and I still can't understand why progressive countries like the UK are still stuck in the Middle Ages as far as their willingness to share medical information with the patient is concerned . Are they worried that the patient will misuse this information ? This makes no sense – after all, it’s her information, so how can she misuse it ? 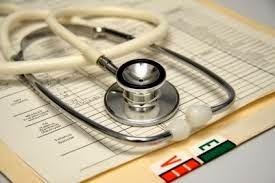 I understand the concern that patients may not be able to make sense of their medical reports, and may get worried or scared needlessly in case it is abnormal. This is why they need a doctor to help them interpret the report intelligently. However, this does not mean that we should hide information from our patients, or censor it, or limit their access to it. Patients have the right to know what is happening to them , and especially when the patients wants her report and X-rays, I think it's unethical to refuse to give this information to her . Perhaps one solution would be to get a permission letter from the doctor , which “ authorizes” them to “ release “ the report to the patient , but this is a completely ridiculous approach to take . Patients should be free to see their tests for themselves , and then use this information the way they want to, rather than having to depend exclusively on their doctor for access to their own medical records and reports. The UK healthcare system waxes eloquently about the need for patient centricity and patient empowerment – and the first step in this direction is to share information with the patient. We need to respect our patients, and say – Yes, we trust you , and if you want your reports, here they are . If you need any additional information , we will be happy to provide it ! The present approach says, Yes, we have your reports , but we don't think you're smart enough to make sense of them, and because we can’t trust that you will be able be to understand them, we will send these reports to your doctor, who will then tell you what to do. This is the height of condescension , and it seems to be a hangover from the past, when the approach was – The Doctor Knows Best. Isn’t it time we moved on ?